My lack of posts this month is largely because I've been working on the second edition of my book, Digital Development in Korea (with Dr. Oh Myung). Depending on Routledge's production schedules, it should appear in 2019. One chapter of the book deals with long term trends in Korea's ICT exports, including the "super cycle" in semiconductor (integrated circuit) exports during 2017 and 2018. Consequently I was struck by yesterday's article in The Korea Times entitled "Samsung, SK Hynix bracing for global chip downturn." "Orders from data centers have recently been falling off while smartphone production has been stagnating, resulting in falling demand for DRAM for servers and memory chips for mobile phones." 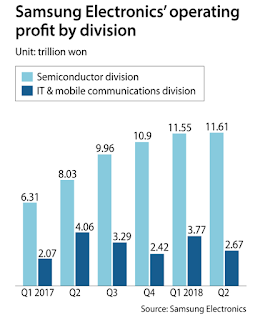 It also notes that the downturn in the chip market is likely to deal a blow to the Korean economy because semiconductor exports account for more than 20 percent of total exports. The Korea Times article seems like a fitting topic for my lone post of December. 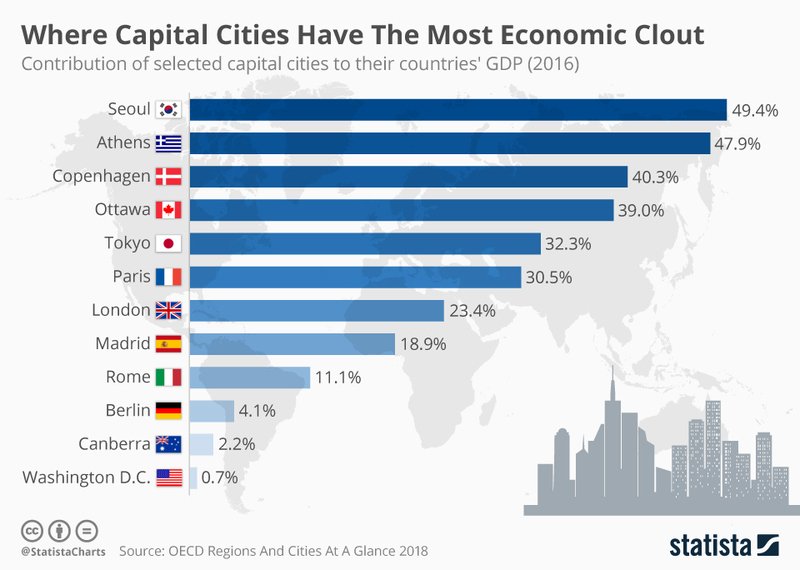 As the year comes to a close, it is well for Korean policymakers to remember that more than three-quarters of the global market for ICT products is made up of software and services. 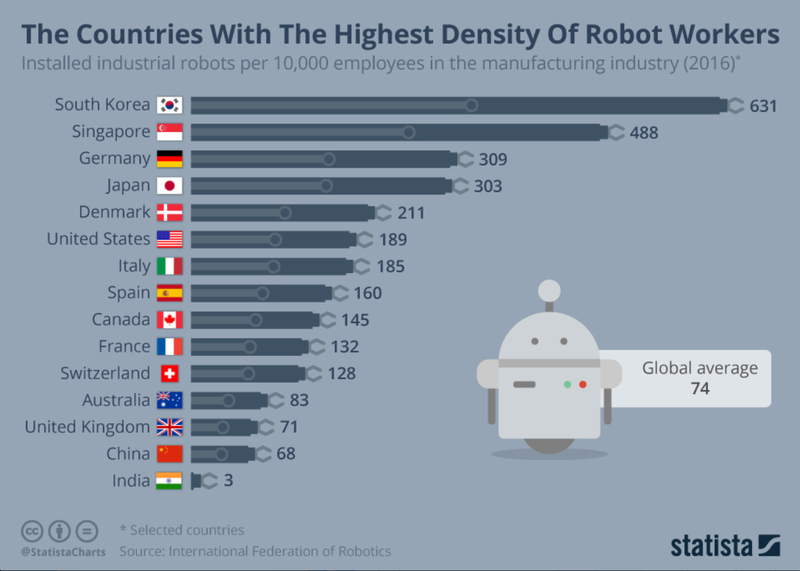 The challenge for this country in 2019 and beyond lies in those areas, not in continued reliance on hardware manufacturing and export. The Korea Joongang Daily carried an interesting article today on the Bitgaram International Expo of Electric Power Technology (Bixpo), a forum organized by Kepco, in Gwangju on Wednesday. 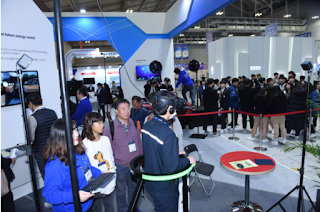 “Power companies around the world are facing an enormous historic change called an ‘energy paradigm shift,’” said Kepco CEO Kim Jong-kap during the opening of Bixpo. “The first major paradigm shift is the digital transformation, which will mean that our children will experience a world that is completely different from the one we have been living in. “Big data, artificial intelligence [AI], the Internet of Things and other core technologies of the fourth industrial revolution are rapidly tearing down industrial boarders,” Kim said. He said that such changes are forcing the electric power sector to be interconnected and fuse with other industries that it previously hadn’t thought of, such as the automotive, finance, construction and communications industries. I'm teaching a graduate seminar this semester on "Digital technologies for disaster risk reduction," and we are discussing all of the technologies mentioned in the Joongang Daily article. 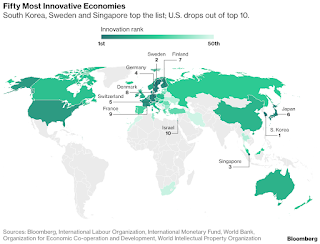 Personally I would argue that the industrial convergence noted by CEO Kim is part of the continuing third industrial revolution, driven by digital technologies, rather than a fourth such revolution as promoted by the World Economic Forum. 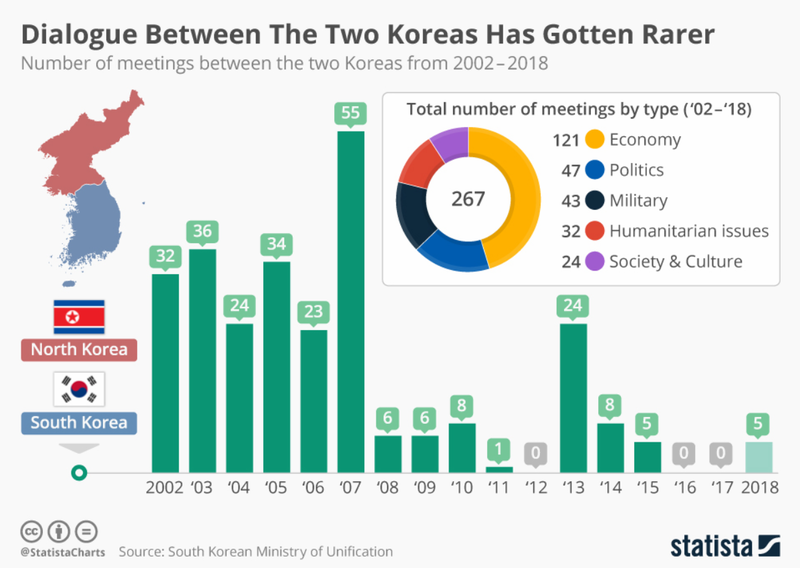 With half of South Korea's population and a high concentration of its top industries, universities and schools at all levels, the following chart from Statista stands to reason. 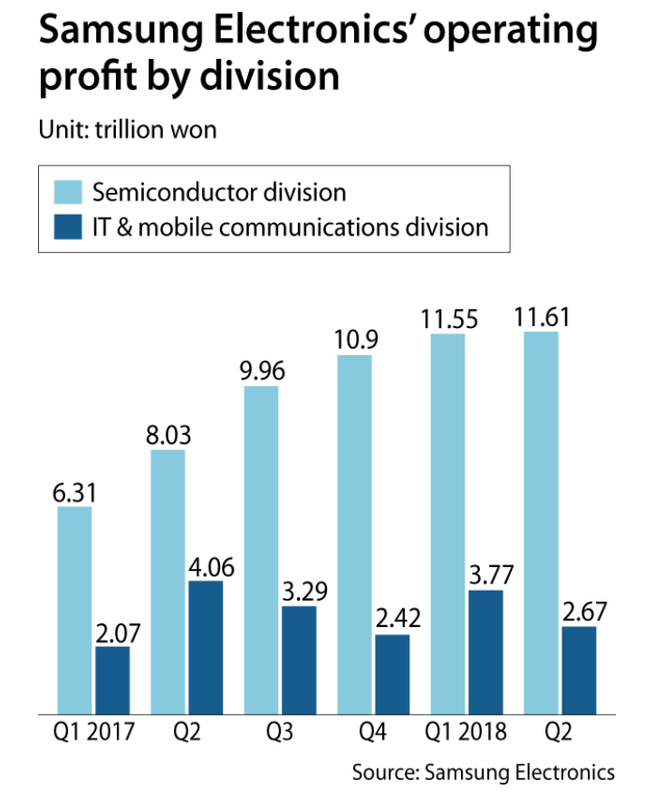 As reported by the Korea Joongang Daily, Samsung Electronics growth (operating profit) stalled in the second quarter of 2018. As noted in the article "The tech giant reported Tuesday that its operating profit for the April-June period was 14.87 trillion won ($13.27 billion), up 5.7 percent from the same period a year ago but down 4.9 percent from the previous quarter. Revenue for the second quarter tallied 58.48 trillion won, down 4.1 percent on year and 3.4 percent on quarter." 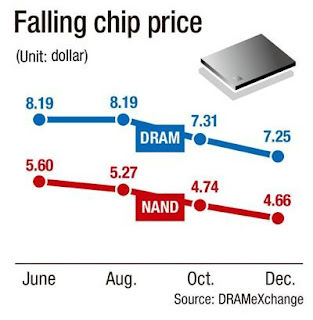 As shown in the graphic (click for a full size version), memory chips continued their strong performance while sales of smartphones and displays declined. 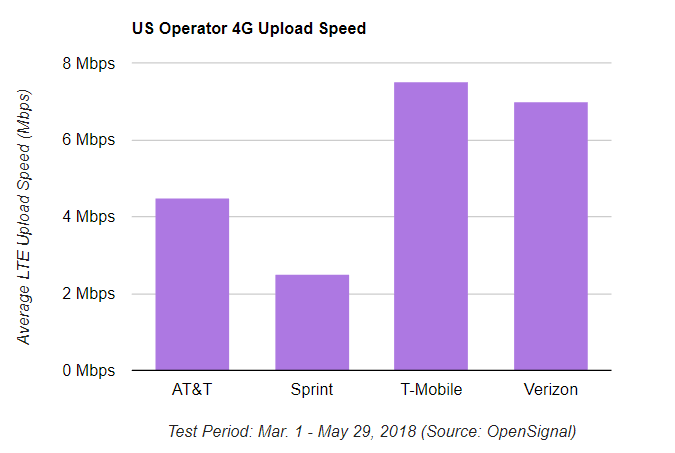 OpenSignal just published an article/post entitled "Explaining the huge gap between fastest and slowest 4G upload speeds in the US." As readers of this blog will know, I've posted frequently over the years (check these out) on the importance of speed (a.k.a. bandwidth) on the Internet. This made me curious about the upload and download speeds from my office here in the Incheon Global Campus. So I did a speed test (click on the graphic for a full size version of the screen capture). Draw your own conclusions, but I would submit to you once again that "speed matters"! The Korea Joongang Daily has published a timely report on semiconductor exports that warns about the dangers of a nation being overly dependent on one product. Semiconductor exports are expected to exceed $100 billion this year, while total exports are estimated to reach $605 billion. 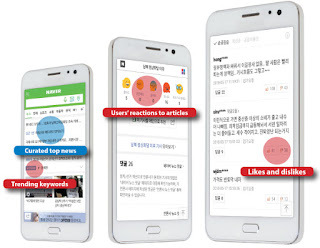 The newspaper article notes that "In a report released on June 22, the Hyundai Research Institute, a private think tank, said Korean exports, while on the rise, has a number of weaknesses including a heavy dependence on one product. 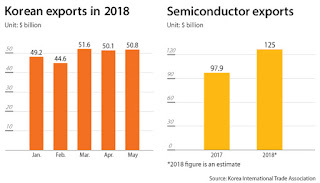 The report pointed out that the proportion of semiconductors to total exports in Korean has risen from 12.6 percent in 2016 to 17.1 percent in 2017 and over 20 percent this year." The Bulletin of the Atomic Scientists has just published two very different videos that provide essential context for understanding the recent summit meeting of President Trump and North Korean Chairman Kim Jong Un. The first is an interview with University of Chicago history professor Bruce Cumings. Like me, he first encountered Korea as a U.S. Peace Corps Volunteer. North Korea is not crazy from www.thebulletin.org on Vimeo. The second video was produced for the White House and shown at the summit meeting in Singapore. "Destiny Pictures" — Singapore Summit video from www.thebulletin.org on Vimeo. As reported by The Korea Times, Samsung Electronics and SK Hynix will invest approximately $42 billion USD to enhance their semiconductor manufacturing facilities, mostly in Korea. Semiconductors are perhaps THE core technology of the digital network era, and were targeted in the 1981 Long Term Plan to Foster the Electronics Sector in the form of the 4MB DRAM project. Once Korea competitively entered the global semiconductor market, it never looked back. Today, Samsung Electronics and SK Hynix are dominant players in the global market for both DRAM and NAND memory chips, as shown in this 2016 report by McKinsey. As noted in that report, "Memory bit capacity is determined by two factors: capacity for memory wafers worldwide and the number of bits per wafer." The industry has adopted the term "bit growth" to describe this phenomenon. For me personally, this brings back memories of a graduate seminar taught by Professor Edwin B. Parker at Stanford University in the late 1970s, where he explained Moore's Law in simple terms. As Ed told us, the cost of storing one bit of information keeps decreasing as the capacity of semiconductors increases. Today I understand more fully that "bit growth" means exponential increases in the human ability to store, compute and communicate digital information. This phenomenon is at the heart of the digital revolution and is well understood by Korea's industry, government and academic leaders. There is risk involved because semiconductors are now a commodity and subject to huge cyclical swings. However, it appears that Korean leaders may once again be making a prudent investment in the digital future. I've just revised my personal website (http://www.jamesflarson.com/) to include links that allow full-text PDF downloads of nearly all my books and monographs. One exception is Digital Development in Korea, my 2011 book with Dr. Myung Oh, which is still under copyright with Routledge. 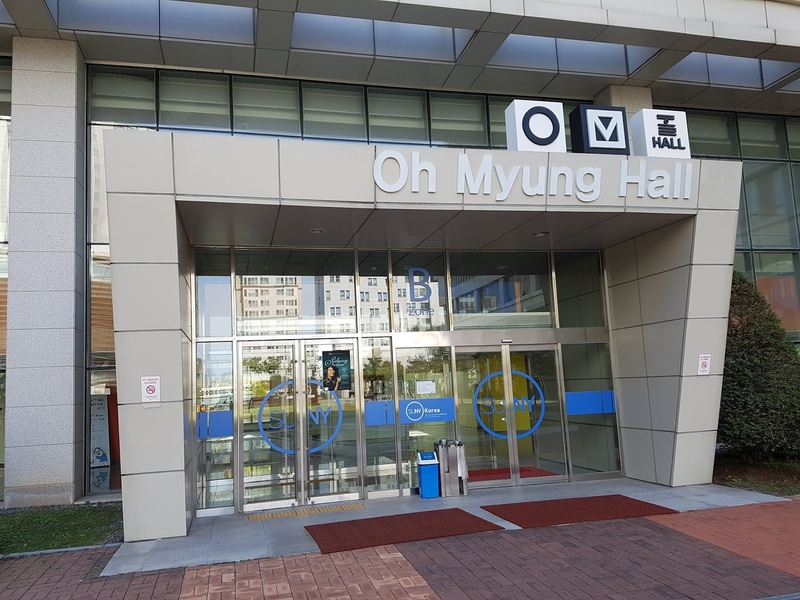 Two events in the spring of 2017 call attention to the remarkable achievements of Dr. Oh Myung (Myung Oh in typical American style with given name preceding family name), widely acknowledged to be the "godfather" of South Korea's ICT-driven digital development. As illustrated in the video (above) created on the occasion of Dr. Oh's induction as the first member of the CEAS Alumni Hall of Fame at Stony Brook University, his contributions extend far beyond the ICT sector. The project to build what is widely referred to as 5G (fifth generation) digital networks, more properly called "next generation networks," is attracting a great deal of attention these days, as well it should. On a global level, this project is undoubtedly the largest engineered infrastructure project in human history. Accordingly, it is very costly. 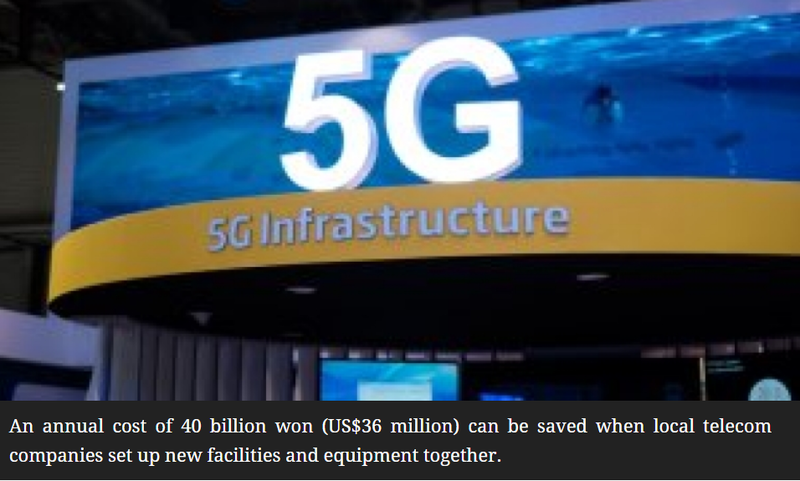 Hence the importance of the recent announcement here in Korea that, with government encouragement, the major telecommunications service providers would share the cost of installing 5G facilities and equipment. (see for example, this article in BusinessKorea) This is an important development and one to watch closely. 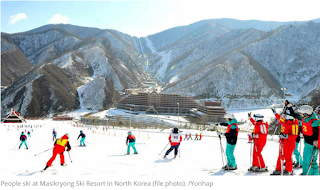 Some weeks before the opening of the PyeongChang Winter Olympics last month, I was contacted by a writer for Time magazine. 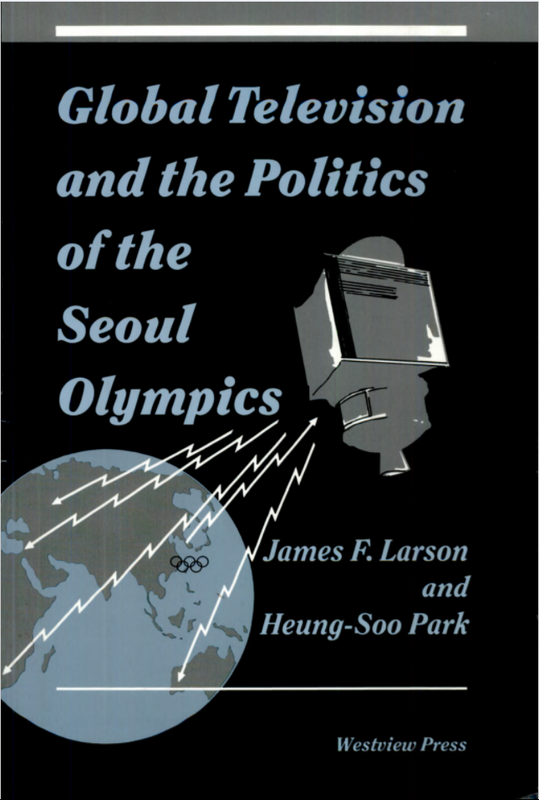 Olivia B. Waxman's article, in which my book (with Heung Soo Park) is cited, was published on February 8 and can be read at this link. 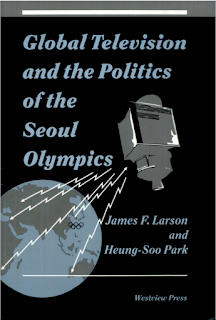 Of course, the story of Olympic diplomacy surrounding the PyeongChang Winter Olympics is still being written, so I anticipate future posts on the topic. A very interesting article appeared in The New York Times entitled "A tune heard often at these Olympics gets to the heart of being Korean." The accompanying video contains a version of the song performed on KBS television. The New York Times' article includes the following excerpt. "In an 1896 essay, Homer B. Hulbert, an American missionary in Korea, wrote: “To the average Korean, this one song holds the same place in music that rice does in his food — all else is mere appendage. You hear it everywhere and at all times.” The same could perhaps be said about the song’s place at these Games. It has turned up as more than background music for the skating pair’s routine. It was played twice at Olympic Stadium during the opening ceremony. It has been sung in the stands at hockey games. And with all the interaction here between North and South Korea, it has served as a stand-in national anthem for the formerly unified countries." The rest of the article is well worth reading. As regular readers of this blog already know, South Korea possesses the most advanced and fastest digital network infrastructure in the world. Furthermore, the speed (aka bandwidth) of broadband Internet connections matters a great deal. (see my numerous posts over the years on the importance of speed) Consequently, it is no accident that the nation has built a super-fast and dense network infrastructure in and around the sports venues and will utilize the 2018 Winter Olympics to showcase to the world the possibilities for next generation (currently 5G) networks. Ironically, these world-leading network infrastructures have been built in the largely rural and mountainous Gangwon province. This evening, I'm going to sit back and enjoy the domestic Korea telecasts of the PyeongChang Olympics Opening Ceremony, fully recognizing that this is the latest (Since London) in a series of "bring your own device" Summer and Winter Olympic Games. 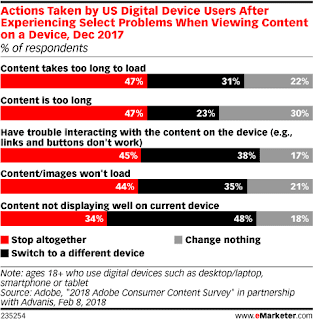 The Winter Olympics, as one of the world's largest media events, will retain that status, but with a global audience that is tuning in via multiple screens and according to their individual preferences, as facilitated by mobile apps and social media. 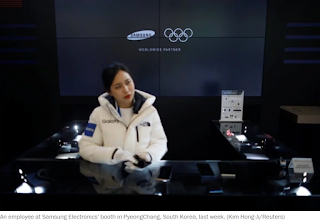 Samsung Electronics is a leading worldwide sponsor of the Olympic games and, as described in this 2014 post about the Sochi Winter Olympics, they regularly provide members of the Olympic family with complimentary late-model smart devices. In the case of the 2018 Winter Olympics, just getting underway in PyeongChang, the provision of special Olympic Edition Galaxy Note 8 devices to athletes from North Korea and Iran raised an issue on the grounds that this might violate United Nations sanctions against these countries. The Washington Post published an article explaining the issue and how it was dealt with by the International Olympic Committee (IOC). 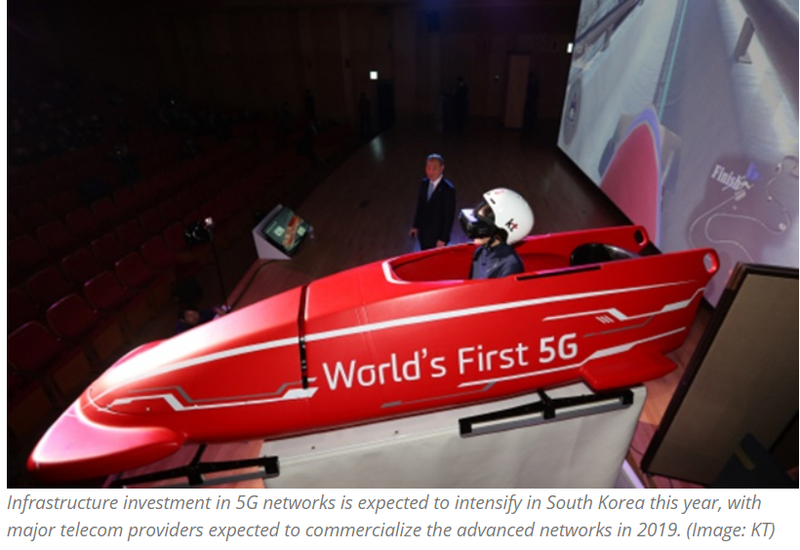 An article in the Korea Joongang Daily today sheds light on some key issues involved in building 5G network infrastructure here in South Korea, which promises to have the world's first nationwide 5G mobile network. The article begins by noting that "Telephone poles, cable ducts and fiber optic networks - they’re the greatest assets for telecom companies vying to commercialize the next generation of wireless networking known as 5G, and carriers will fight to the death to hold onto them. The network, which promises higher speeds of up to 20 times existing LTE, has to be delivered on frequency bands with shorter waves, and to do that, mobile carriers say they have to build base stations closer together. This has caused tension between KT and other telecom companies because the former owns more than 70 percent of the cables on which base stations have to be built, but it has been reluctant to share." The accompanying graphic (click for a full size version) provides details on the current ownership of core telecommunications infrastructure. The government's deadline for setting up a nationwide 5G network is March 2019. Meeting that deadline will require agreement among the major telecommunication companies on how to share the fiber networks, underground cable ducts and above ground utility poles that form the core infrastructure for 5G. KT owns a majority of existing infrastructure in Korea by virtue of its former status as a public corporation owned by the government. According to the article, "For now, the government has proposed three guidelines on how to share the infrastructure. First, each carrier should try to install its own infrastructure in regions with high data traffic. If such installation is not possible, for instance due to objection from landowners, or if a region has low data traffic, companies ought to share infrastructure. And if that’s the case, carriers should pay a reasonable price."